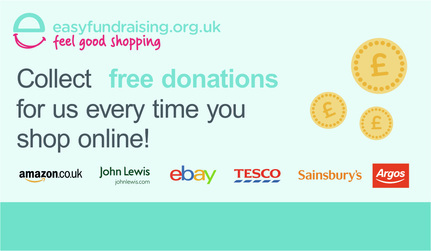 ​free donation for Involve Active every time you shop! on the link below for our Facebook fundraising group where arrangements will be posted as and when they are available and you can talk to the other crazy people! Please click on the link to go to our go fund me page. Every £ counts! Go Fund Me CLICK FOR LINK! Aviva Community Fund update - All the votes have now been counted and unfortunately on this occasion our project didn’t get enough votes to us into this year’s final :'( We know this is disappointing news. However, Aviva will be donating £100 towards Project Goldcrest so all is not lost! Involve would like to thank each and every one of you that voted for us and we will maybe try again next year! In the meantime we will be raising money throughout the year to help fund this project and others at Involve so please do support us where you can! Who fancies jumping out of a plane?! 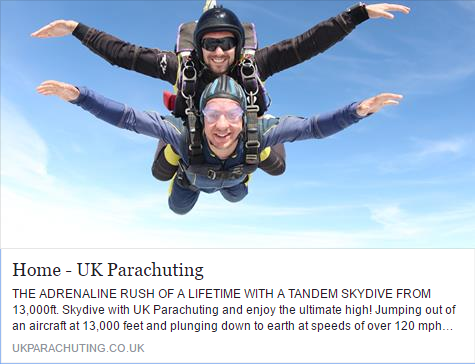 To book your parachute jump, but be sure to let us know so that we can come and support you!! Exciting Opportunities with us at Involve! THANK YOU!! We had a great evening of Blingo Bingo with lots of great prizes and costumes raising a great amount and can't wait to hold another one of these events!